Heavy-duty Aramid Cord Lawn and Garden V belt replacement for top quality brands like MTD Craftsman, Briggs & Stratton, John Deere, Toro, Exmark, Simplicity, Ariens, Cub Cadet and more! Our Aramid Cord Lawn Mower Belts are the perfect replacement belts for Lawn Tractors, Riding Mowers and Snowblowers. These belts have the same high-quality specifications as direct replacement belts. Replacing a pulley? Might as well replace the belt at the same time! 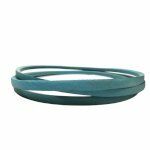 These heavy-duty Aramid Cord belts are designed to replace original belts found in your outdoor power equipment. Each product page lists out the various OEM cross-reference part numbers so you can easily find the replacement belt you need!